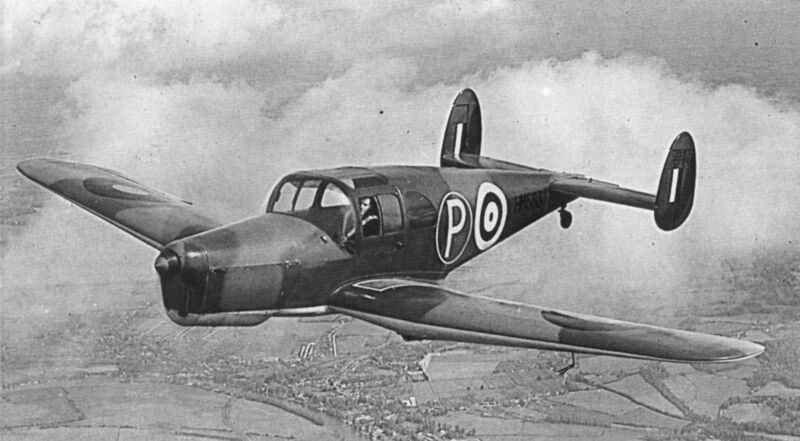 Views of the Miles M.28 prototype, U-0232. This four-seater was powered by a 130 h.p. Gipsy Major I engine and carried four people. Note the very thick wing section, low, knuckle-type undercarriage, absence of rear windows and excellent pilot visibility. U-0232 was dismantled in 1942 and its tail and fuselage were used in the prototype Miles M.38 Messenger. 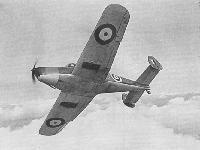 George Miles flying the Miles M.28 Mk II, HM583. First flown in 1942, this aircraft was powered by a 140 h.p. 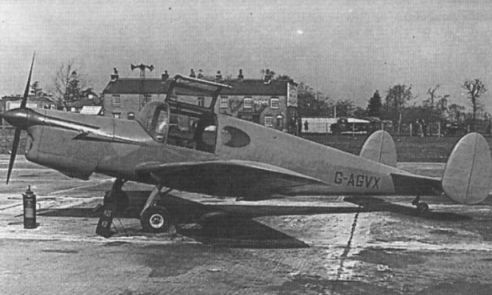 D.H. Gipsy Major IIA engine, had three seats and featured a hydraulically-operated retractable undercarriage. 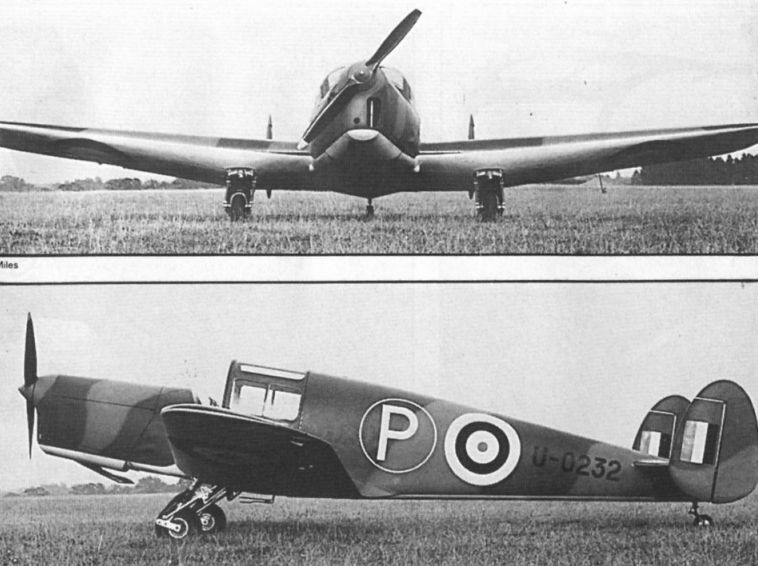 HM583 was used as a communications aircraft by the Miles company; after the war it was re-engined with a 150 h.p. 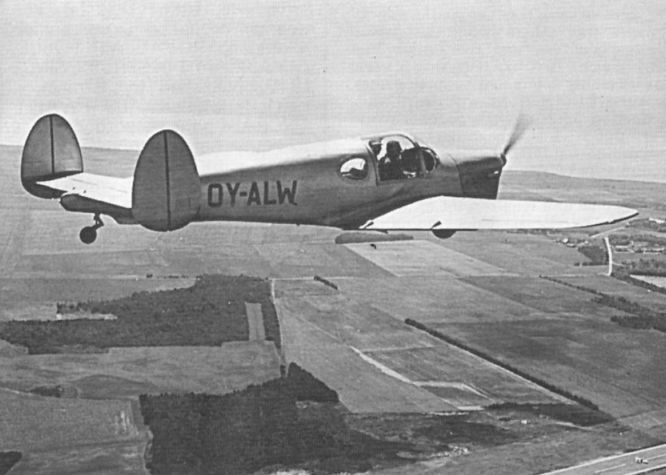 Blackburn Cirrus Major III and registered G-AJVX, but was sold in Australia as VH-BBK in 1950. This view of the Miles M.28 Mk II HM583 shows well the low aspect ratio wings and the undercarriage in the retracted position. Miles M.28 Mk IV G-AGVX now flies in Denmark as OY-ALW. Miles M.28 Mk IV G-AGVX, built in 1944 and originally registered U-0243. 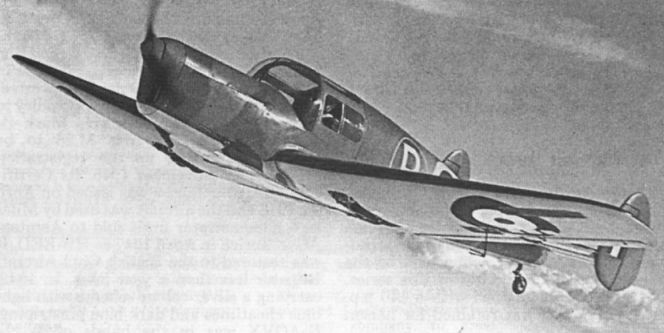 The final Miles M.28, the Mk VI, powered by a 150 h.p. Blackburn Cirrus Major III. 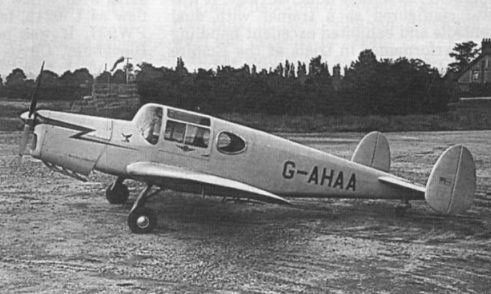 G-AHAA was sold to BEA in 1947 and in 1956 it went to Germany as D-EHAB. 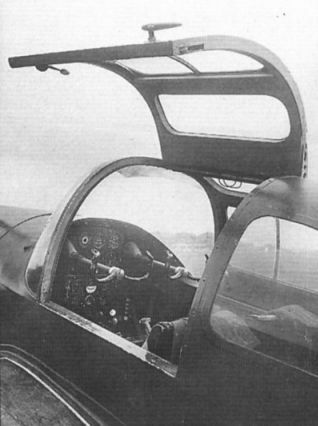 The cockpit of the Miles M.28 Mk II.